Fruit Series - Peary Good 100mLRipe and juicy Pears, Simple and sweet.Available in 0mg, 3mg, and 6mg..
Candy Series - Pineapple Crush 100mLAvailable in 0mg, 3mg, and 6mg nicotine strengths in 100mL bottl..
Moo Series - Vanilla Almond Milk 100mLOur Vanilla Almond Milk is a blend of both nutty and creamy no..
Moo Series - Coffee Milk 100mLOur Coffee Milk is the perfect brew of bold coffee beans topped off wi..
Moo Series - Strawberry Milk 100mLOur Strawberry Milk combines the sweet flavors of fresh strawberri..
Moo Series - Banana Milk 100mLOur Banana Milk is a flavorful fusion of freshly picked bananas, mixed.. 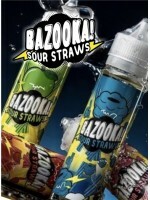 Sour Series - Rainbow Sours 100mL (Formerly known as Bazooka)Rainbow Flavored SoursAvailable in 0mg,.. Sour Series - Mango Tango 100mL (Formerly known as Bazooka)Mango Flavored SoursAvailable in 0mg, 3mg.. Sour Series - Pineapple Peach 100mL (Formerly known as Bazooka)Pineapple Peach Flavored SoursAvailab.. Sour Series - Watermelon Sours ICE 100mL (Formerly known as Bazooka)Watermelon Sours ICE by Kilo Pre.. Sour Series - Watermelon Sours ICE 100mL (Formerly known as Bazooka)Watermelon Sours by Kilo Premium.. Sour Series - Strawberry Sours ICE 100mL (Formerly known as Bazooka)Strawberry Sour ICE by Kilo Prem.. Sour Series - Strawberry Sours 100mL (Formerly known as Bazooka)Strawberry Sour by Kilo Premium eLiq.. Sour Series - Green Apple Sours ICE 100mL (Formerly known as Bazooka)Green Apple Sour ICE by Kilo Pr.. Sour Series - Green Apple Sours 100mL (Formerly known as Bazooka)Green Apple Sours by Kilo Premium e.. Sour Series - Blue Raspberry Sours ICE 100mL (Formerly known as Bazooka)Blue Raspberry ICE by Kilo P.. Sour Series - Blue Raspberry Sours 100mL (Formerly known as Bazooka)Blue Raspberry by Kilo Premium e..